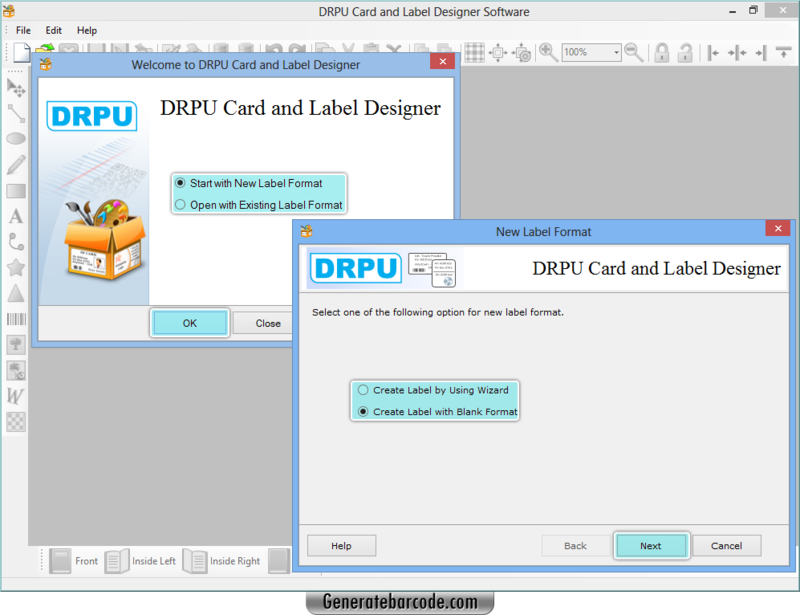 Start designing card and label using DRPU card and label designer. 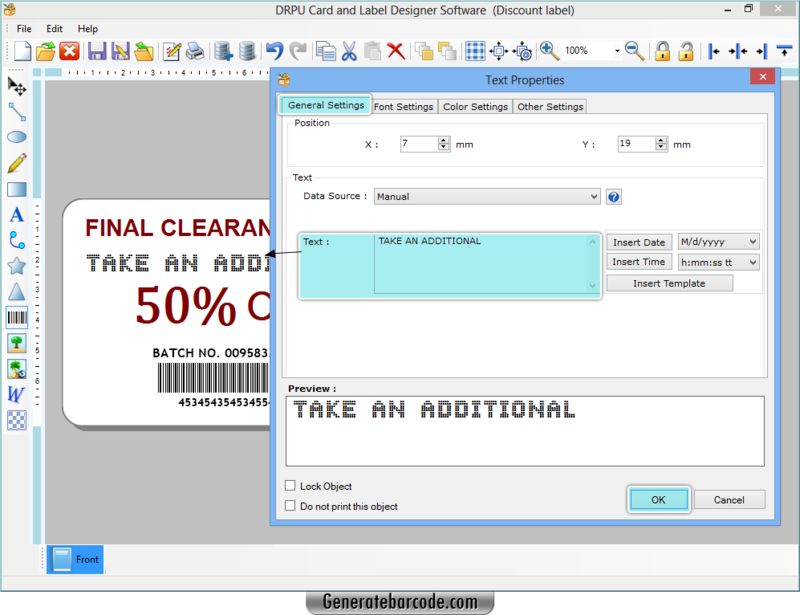 Choose one of the above options with corresponding designing mode. Go to text tool from left panel, to add text then alter its settings as per choice. 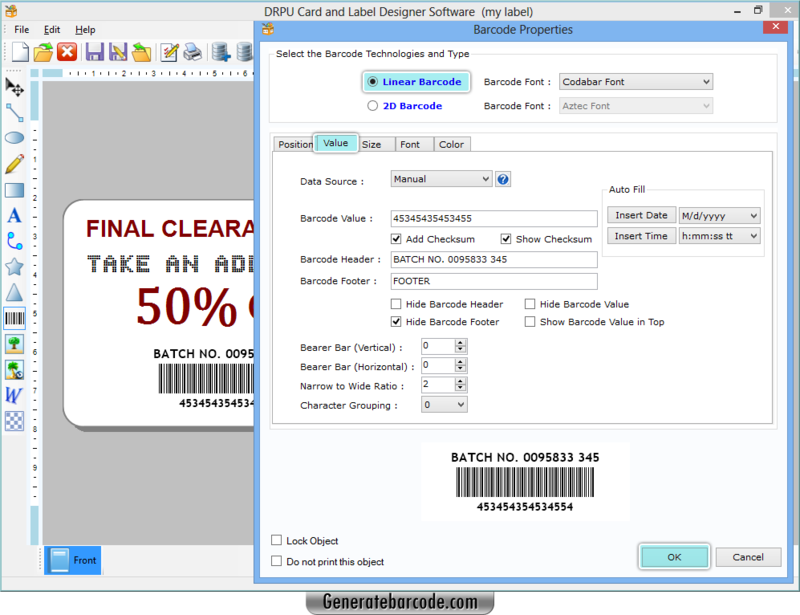 Click on barcode icon from left panel and choose barcode technology with font type then set barcode value along with other attributes. 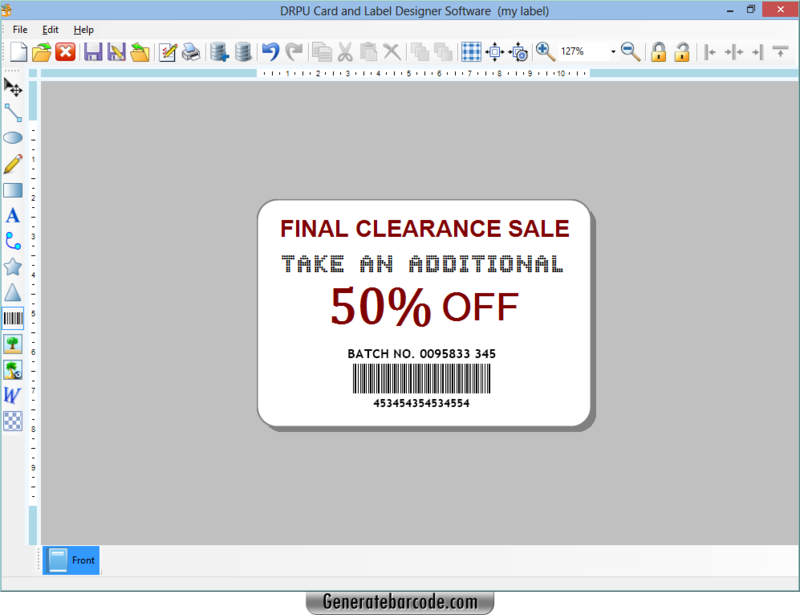 Designed “Discount coupon” by DRPU Card and Label software is shown. Now save it in any image extension as well as print it as per need.